The tail water weir is the largest single water control structure the District has ever built. It is almost one mile downstream of the S-65E water control structure on the Kissimmee River. The weir can move up to 30,000 cubic feet of water per second, or enough water to fill 1,000 swimming pools in one minute. The weir will maintain water levels downstream of the S-65E structure, protecting it from extreme water level differences and potential failure during major storm events. 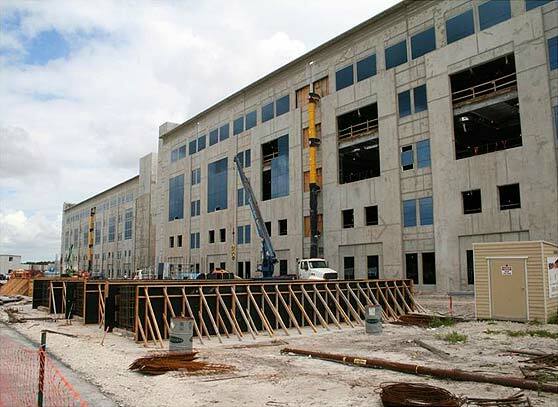 Office Depot's new Global Headquarters in Boca Raton is close to 800,000-sq-ft.There is currently an estimated investment of almost 200 million dollars for this state of the art facility. We set up an onsite portable plant to supply over 37,000 yards of concrete. The project consisted of three vertical, interconnected, five-story buildings that are linked by glass-enclosed atriums and will accommodate up to 2,500 Office Depot associates. The two four story parking facilities house over 2000 cars on a 20 acre site. 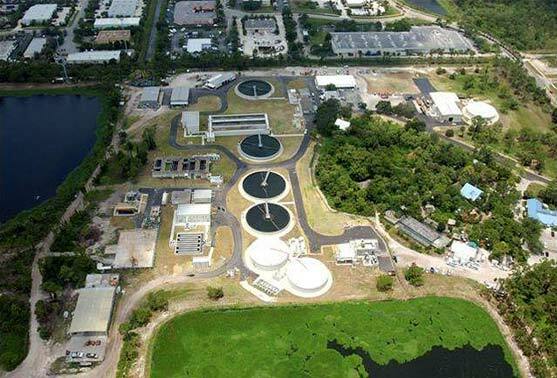 Wastewater Treatment Plant Facility expansion and upgrade Project .This facility began operation in 1978 and its most recent upgrade will allow 11 million gallons of wastewater to be processed daily. 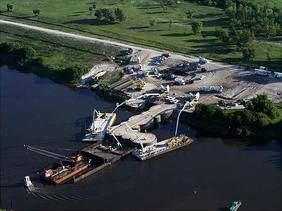 The expansion required approximately 8600 yards of concrete placement. It was imperative to service our customer on the facility site without creating a "footprint" that might interfere with the plants daily operations. Environmental standards were very critical. -- 96 concrete modular living units over 51,000 s.f. 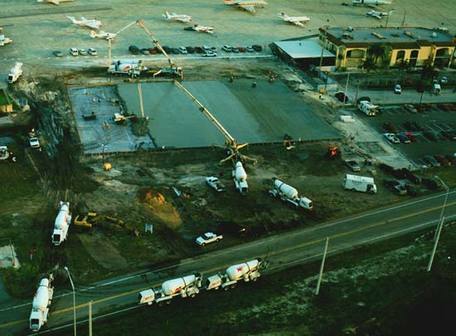 Jet Aviation-Palm beach International Airport hanger construction. Construction of three airplane hangars. The project called for volume placement and coordination between the restricted access International Airport and our contractor.